Ideal for informal or formal smaller events with private bar facility and a terrace overlooking the cricket pitch. 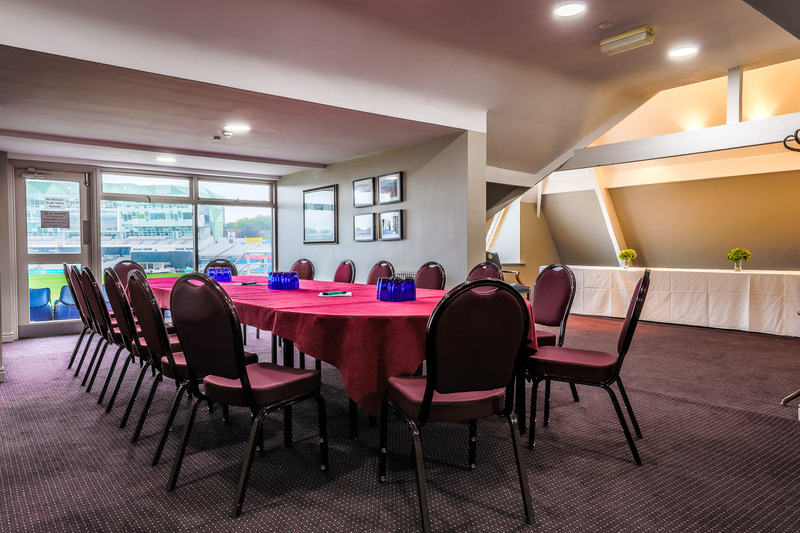 Situated on the third floor of the Headingley pavilion, the impressive Victoria Suite is the ideal mix of modern and traditional. Boasting superb contemporary features set amongst the original, exposed beams of Headingley's historic pavilion, this fully catered for double-room with private bar has inimitable charm. As well as enjoying a superb indoor setting, 36 guests can enjoy its distinctive atmosphere and superb views of Headingley.